Every day, tons of perfectly good food gets thrown away while people around the world, including in the UK, go hungry. Every week, St Sidwell’s collects fresh fruit and vegetables that would otherwise have been discarded. Some of this is produce from local supermarkets that has reached its sell-by date, some is surplus produce brought in by local gardeners, allotment holders and even local farmers. 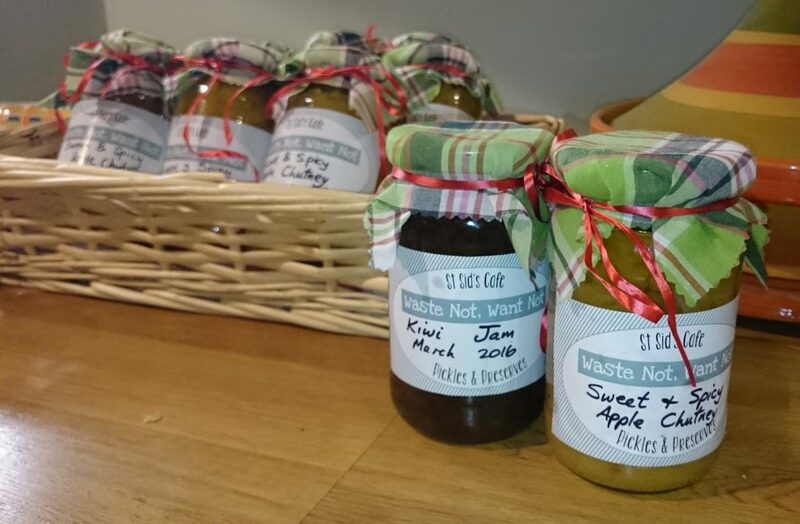 At least once a fortnight, more frequently when there is a lot to process, volunteers get together in St Sidwell’s kitchen and turn the surplus produce into jams and chutneys, soups, curries and stews. Some of the resulting products are given away but most are sold – at very affordable prices – and the money is used to help sustain the project. If you are interested in getting involved, have a look on our What’s On pages to see when our next Waste Not Want Not session is, or give us a ring on 01392 6662222.